If we are always arriving and departing, it is also true that we are eternally anchored. One’s destination is never a place but rather a new way of looking at things. Henry Miller. Excitement, trepidation, longing, anticipation. I’m looking for a flight. A flight that will take me halfway around the world, a flight that will take me back to Nepal. It is time to explore again the known and the unknown, to feel fear, to know happiness. It feels like the long alpine summer – full of challenges, full of disappointments, full of beauty, full of friendships, full of doubts, full of fears and full of hopes – is over. I’m feeling the pull back to the country that strips me bare, and yet fills me to the brim with life. It is time to return. I find myself missing the gentle dusty chaos of Kathmandu, the crying cats, the barking dogs, the thieving monkeys, the red ball of a sun that rises in the morning. A city that assults your senses with its multitude of sights and sounds and smells. A city full of poverty, a city full of riches, a city of contrasts and contradictions, but a city where life has a beauty of its own, played out in front of you on the street, with a ‘namaste’ and a smile. I miss it all. My summer started with injury and has finished with injury. So for the moment I’m resting in the ‘in between’. A time to think, a time to reflect, a time to look back, a time to look forward. My first gentle steps back to form will be during the beautiful Manaslu Mountain Trail Race, a part circumnambulation around that mountain of Spirit. Exploring off the beaten track, few distractions, just time in the mountains and time with good friends. 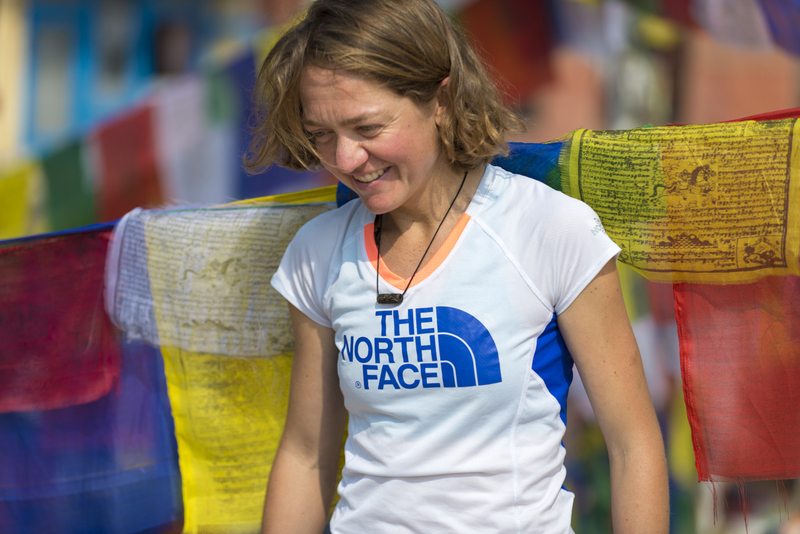 Back to the mountains, the sky high trails, the deep blue skies and the fluttering prayer flags. For all of us it will be a wonderful opportunity to meet people from all over the world and hear stories, gain new perspectives, to broaden horizons, to strengthen old friendships and to make new ones. 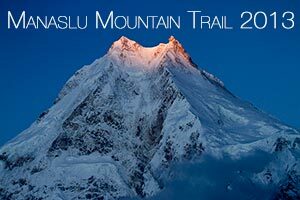 treading sky high trails to regain strength, fitness and serenity of mind – the Manaslu bootcamp! While I wait for the day I am able to leave for Nepal, I will make another journey. To another and very different place that has intrigued me for a long time. A place full of things as yet unseen, a culture as yet unexperienced and stories as yet untold. I join Frosty and Mohammed Ahansel in a journey to Morocco. Exploring the high dusty trails on and around Toubkal (4167m), the desert with its wide open sky, and the diversity of Moroccan culture from the Berber villages to the souks of Marrakesh. My feelings are mirrored exactly in what Frosty has already written and I’m looking forward …..
Then, oh but then, it will be so nearly time for that flight to take me halfway back around the world to Nepal!